Imported spec vehicle with 6 cylinder engine, grey interior and manual transmission. Automatic 2016 Toyota Land Cruiser with 18 inch wheels, MP3 interface, power windows, beige interior, white exterior. 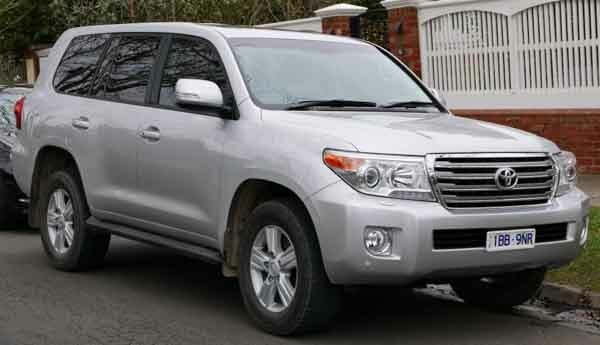 Automatic 2013 Toyota Land Cruiser with 20 inch wheels, rear camera, LED headlights, brown interior, white exterior. Opportunity! A 2014 grey/silver Toyota Land Cruiser LX 10 Petrol GRJ76 4.0L V6 ( now available at a reduced price. 2011 Toyota Land Cruiser, priced at AED 82,500, with features such as tuner/radio, rear TV screens, performance tyres. It has brown interior and is White. GCC spec. Toyota Land Cruiser black SUV/Crossover, brown on the inside with CD player and rear camera. 20″ wheels. Automatic, 20 inch wheels, power locks, keyless go, brown interior, white exterior. GCC spec Toyota Land Cruiser, white SUV/Crossover with beige interior. It features USB, 20 inch wheels and tinted windows. 2011 Toyota Land Cruiser with Airbags (front and side), 20″ wheels and Climate control. Price reduced! 2008 Toyota Land Cruiser price AED 78,000, with front camera, air conditioning, spoiler. It has tan interior and is Black. GCC spec 2011 Toyota Land Cruiser, 6 cylinders, beige SUV/Crossover with brown interior. It comes with roof rack and tuner/radio. AED 106,000 for this Imported spec, grey/silver 8 cylinder SUV/Crossover with tan interior. It has tinted windows and LED headlights. White SUV/Crossover with grey inside. It has 4WD and climate control and has 18 inch wheels. GCC spec 2008 Toyota Land Cruiser, 6 cylinders, black SUV/Crossover with red interior. It comes with climate control and AUX audio in. 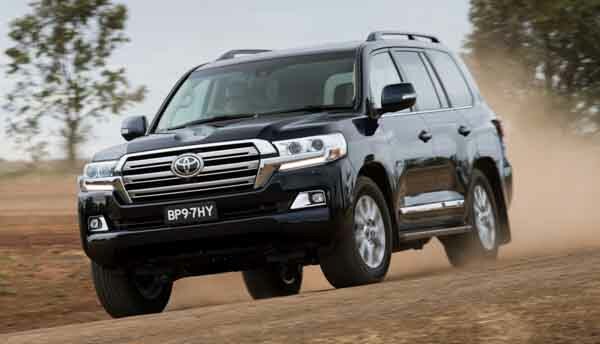 GCC spec Land Cruiser from 2016 with a 6 cylinder engine. White SUV/Crossover with beige interior. It has adaptive lighting and AUX audio in. 6 cylinder white 2016 SUV/Crossover. Beige interior. Cruise control, 18 inch wheels and roof rails. Price: AED 176,000. Imported spec vehicle with 8 cylinder engine, beige interior and automatic transmission. Automatic GCC spec Toyota Land Cruiser with 18 inch wheels, airbags (front and side), power windows, brown interior, grey/silver exterior. Manual GCC spec Toyota Land Cruiser with 18 inch wheels, ABS, rear TV screens, tan interior, black exterior. GCC spec 2010 Toyota Land Cruiser, black SUV/Crossover with brown interior. It features sunroof, 18 inch wheels and fridge. 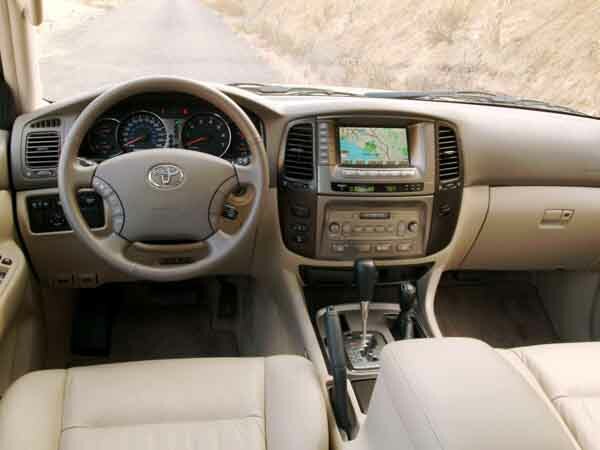 Toyota Land Cruiser gold SUV/Crossover, beige on the inside with power windows and CD player. 18″ wheels. 6 cylinder grey/silver 2010 SUV/Crossover. Beige interior. Parking sensor rear, 18 inch wheels and airbags (front and side). Automatic Toyota Land Cruiser with 18 inch wheels, power windows, bluetooth system, black on the outside, black interior. Imported spec 2018 Toyota Land Cruiser, black SUV/Crossover with black interior. It features roof rails, 20 inch wheels and MP3 interface. This is a white SUV/Crossover with brown inside and sunroof, power locks and 20″ wheels. 2016 Toyota Land Cruiser grey/silver SUV/Crossover, black on the inside with LED headlights and sunroof. 20″ wheels. Ahmed - For the price I paid for my Toyota Land Cruiser VXR V8, nothing can compare. It has everything I need, and my children are entertained in the back thanks to the dual TV screens. Can’t wait to upgrade to the Premium model in a few months. Pros: Powerful engine,lots of options and towing capabilities. Cons: Every other person has one. Tariq - I wanted to buy a V8, but my budget only allowed for a second hand V6 GXR model which is just as good. Great off road car and my whole family can fit inside. Pros: Space, price and options. Iqbal - Buying a pre owned 4.7L Land Cruiser was a big decision for my family and me, but it is one of the best decisions we have made. The options alone are fantastic, and it’s extremely comfortable even off road. Perfect car for the UAE. Pros: Comfort, air/con and off road capabilities. Whether you have a used EX.R of any other trim level, these cars hold excellent resale value. Available with a V6 or V8 motor, whichever one you choose will give you enough power to carve through the desert and pull out anything. Hailing from Japan, it’s reliable. Due to its popularity, it's easy to sell in import and export markets. In top trim, it has all the options to rival that of any high-end luxury vehicle. Cooled seats, fridge and many others. 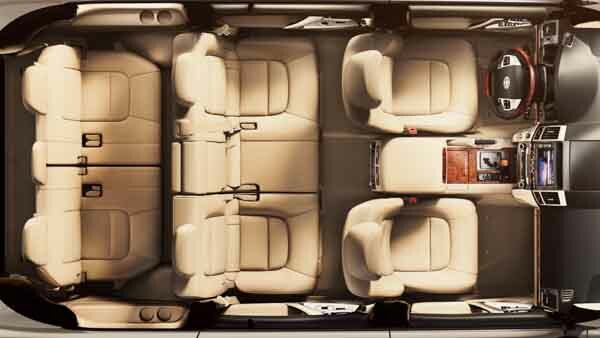 You name it; the Land Cruiser has it. 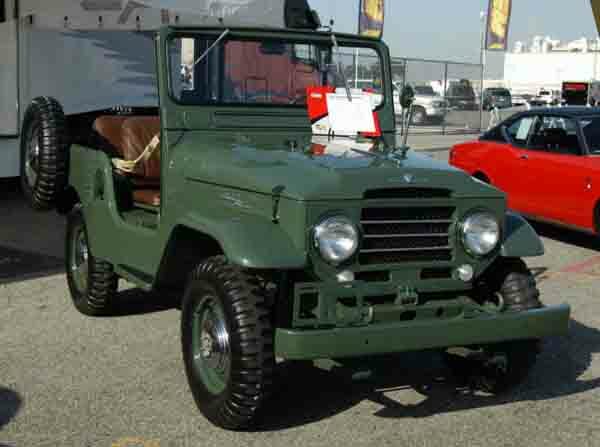 First rolling off the production line in 1951, this iconic desert machine much like any other SUV started life off as a military vehicle and slowly evolved into a commercial vehicle freely available to the public. When it hit the GCC market, residents across the land fell in love as it could plough through the desert and drive along any road without having to change anything. It could even fit a goat or two in the back which made it the perfect machine for farmers. Ever then the vehicle has been immensely popular not just in the UAE but around the world. 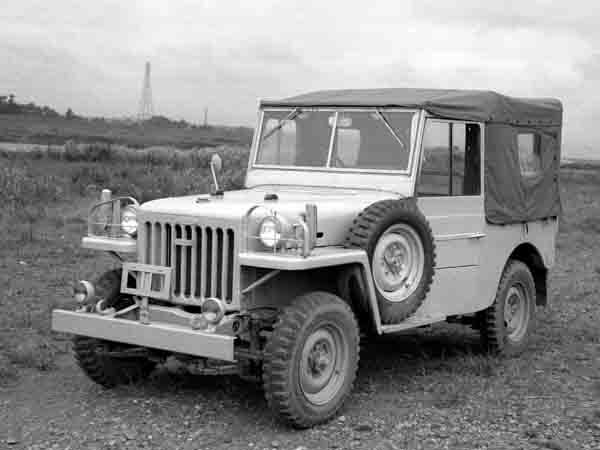 This is where is all started, with a six-cylinder motor with two different displacements, the BJ and FJ Land Cruiser’s would go on to rival the likes of the iconic Jeep built by the Americans. With the ability to tackle rough terrain, there was no stopping the manual machine; there were also barely any interior options. 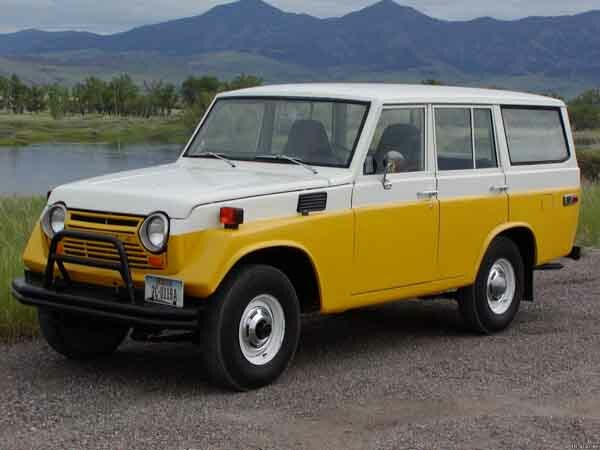 As it was based off of a military vehicle, there are no windows, radio tuner or air conditioning, just four seats, a steering wheel and a manual gear lever. These models are rather rare and can only be found in museum's. Going into its second generation (J20 and J30), Toyota brought out a product which was more civilian friendly. With a slight redesign and longer four-plate leaf springs giving the vehicle a better ride, the cars were once again mated to an inline six cylinder petrol engine now with a higher output and three-speed manual gearbox. Originally models came with only two doors, but by 1957, Toyota added two extra doors providing the Japanese brand with a larger spread in the market. Much like the previous generation, this model is also hard to find in good condition with most being stored and cared for. With sales picking up, Toyota decided to attach a fixed roof to the third generation of Land Cruiser Models. Also known as the J40 series, production increased due to a demand in sales. 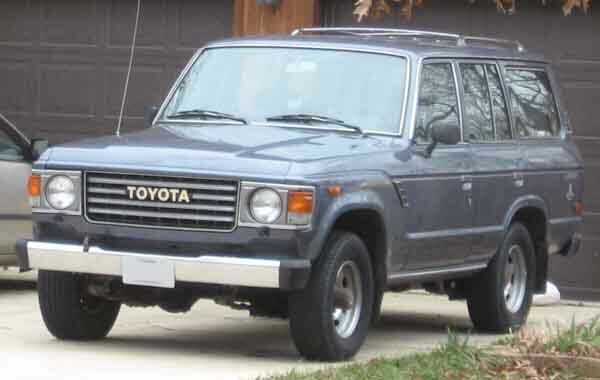 By 1973, Toyota was selling 100,000 units annually of the rugged off-roader. This generation saw the introduction of the diesel engine and a four-cylinder layout along with rear wheel drive and four wheel drive trains. Fixed roof versions were not the only models available as previous convertible models and pickups were still for sale as were four-door models. The latter ran a different chassis to others due to its sheer size. Options didn’t increase much. Side mirrors became standard as did seatbelts and some high-end models had some sort of radio embedded into the dashboard. Manual transmissions were still the only option. Over the years, more and more mandatory equipment had to be added and due to its growing popularity, this model stayed in production for 24 years and serves as the inspiration to the now dormant Toyota FJ Cruiser. In 1967, due to the vehicles cult following and a handful of complaints here and there, Toyota set out to create a comfort orientated model. which they did. Known as the J50 series, this model came with one powered window and a unique look that lasted over ten years. The J40 was moulded into a boxy SUV which is amazingly still in production to this day (J70). Available in various body styles including the SUV in both two and four-door setups, an automatic option was introduced and could be mated to any of the engines available. Inline six- and four-cylinder engines were joined by a V8 and an inline-five which was only available in Italy. The original returning engines are available with petrol intakes whereas the other two were exclusively diesel powered. Options way back then only included seats and basic accessories. Nowadays, these models are equipped with USB and AUX inputs, CD/Player, Air conditioning, Bluetooth connectivity and LED fog lights. In 1981, the brand hit an epic milestone by selling a total of 1 million units across the globe and in 1984, the J40 series was taken out of production after 20+ years of production. 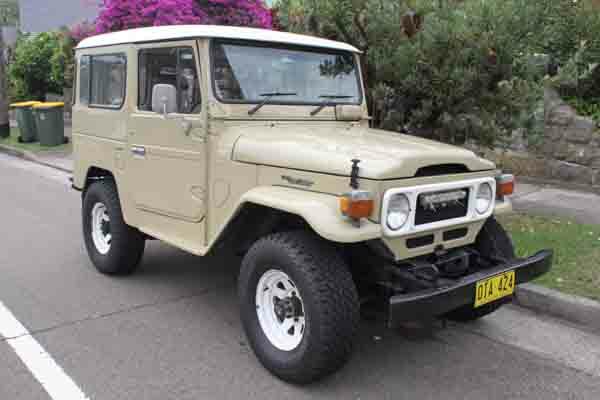 The J60 variant of the Toyota Land Cruiser debuted back in 1980 and took over from the J50 models. Continuing the “comfort oriented” background, these models could fit anywhere between five and eight passengers at a time and still maintained its off-road power. Continuing with a boxy shape, the 80’s model came out with an array of colours that had never been seen before on any Land Cruiser. Stardust Silver, Cognac, Freeborn Red and Sky Blue. Options still seemed relatively scarce compared to other SUV’S. This included a radio tuner, manual accessories, air conditioning and overall and upgraded interior. All four wheels during this time were driven by an inline-six or four-cylinder motor mated to either a manual gearbox or automatic gearbox. Now known as the J80 series, another major overhaul was given to the iconic SUV including a rounder shape and the introduction of leather to cover each of the seats inside. The icon also became full time four wheel drive instead of part-time, some parts of the world such as Australia received the latter. In an effort for Toyota to draw in the sales around the world, they added in heaps of new features including a cool box mounted in the centre console. Over the years, many new revolutionary features had been implemented and stuck with the vehicle to this day. Up front, Toyota lettering was dropped in favour for a simple brand logo in 1995. In the same year, airbags were added for both the driver and passenger as was Anti-lock braking or ABS. Many special editions launched around the world all with varying options. The inline four-cylinder motor was dropped with only the six-cylinder model left to power all four wheels while mated to an automatic or manual gearbox with either petrol or diesel pumping through its veins. 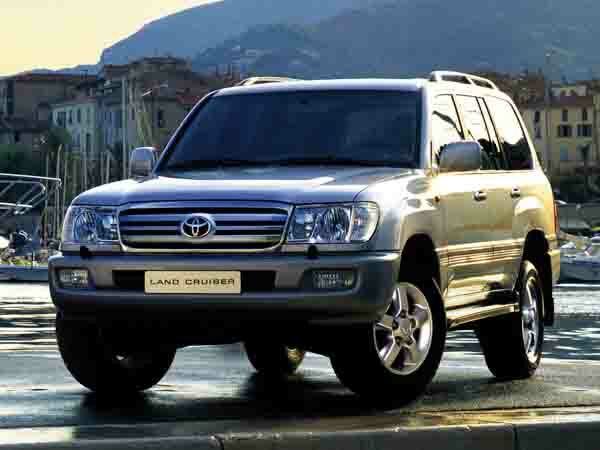 During this time, Toyota hit two million worldwide sales of the Land Cruiser. 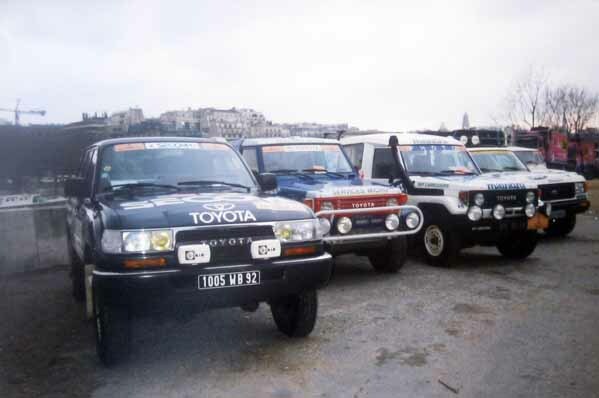 In 1996, to prove just how capable the SUV was, Toyota entered two unmodified versions of the vehicle into the legendary Dakar Rally in which they finished first and second which inevitably pushed sales. Now entering the J100 era, the V8 petrol motor returned once again mated to either an automatic or manual transmission. The V6 engine remained an option with a slight increase in power and fuel economy. Toyota also took the time to smooth out the vehicle's design to keep the car relevant in the market. Continuing to battle rivals, it also served as a base for the ultra luxurious Lexus LX series. J100 version rolled on a larger chassis than previous generations, yet a load of features were carried over. The central compartment received a major overhaul for a more user-friendly experience and in later models equipment such as Bluetooth and navigation could be obtained from the dealer. Rear entertainment packages also started to gain momentum within various markets especially the GCC as it is a go to four wheel drive for those with a large family. Numerous safety features joined the mix including parking sensors which made the parking process much easier. 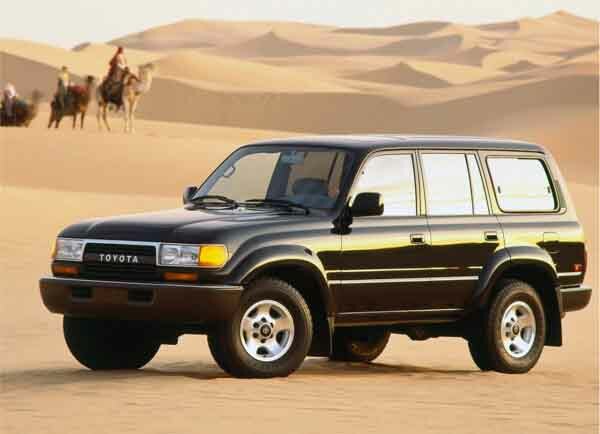 In 2000, Toyota celebrated 50 years of production and had built a record 3.62 million Land Cruisers that had been sold around the world. 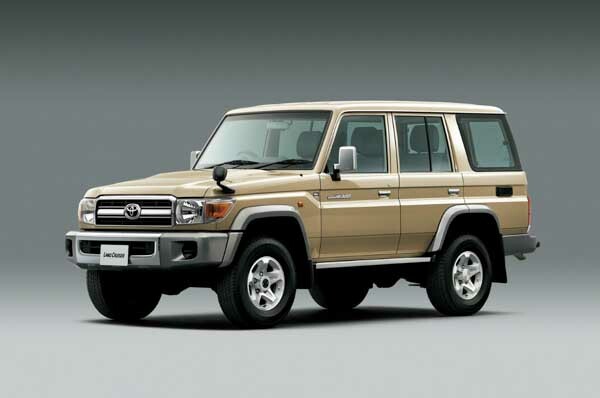 After a ten year run with an ageing body, Toyota launched the J200 Land Cruiser. Sporting a reworked exterior including new lights, rim choices and interior options.The success levels retained with the likes of NATO using it as their go-to vehicle when talking rough terrain. When it hit the market, an array of new features was added including keyless entry and start, multi-zone climate control, 10-airbags, multi offroad selector, reverse camera, cooled front seats, Blu-ray player and many other advanced features. Options from previous generations trickled their way into this model to provide an unbeatable package. In the Middle East, the V6 and V8 motor were retained mated to the familiar automatic gear and for those wanting extra control can opt for a manual transmission instead. A multitude of trims are available including VXR, GXR, EXR and a handful of others. 2016 models kept the previous body shape and added a new bonnet with a unique design along with a new grille and lights. These model years serve as a facelift more than a next-generation vehicle. The cabin also received an overhaul. New rear TV screens with HD properties are available in each of the front headrests and new upholstery hides depending on the trim level. Engines and gearboxes remain identical with similar outputs. 2017 Models bring along unique features including a rear spoiler with a LED brake light, new trim pieces and app access from smartphones enabling users to lock, unlock and start their vehicles from their smartphone. A new base model is ushered in as well known as Safari.